The season begins with band retreat on September 22nd, stay tuned for new band members, concert dates, and pics! 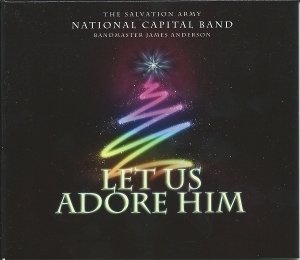 Bandmaster James Anderson is widely recognized as a master of the art of the march, perhaps the finest Salvationist march-writer of the past few decades. 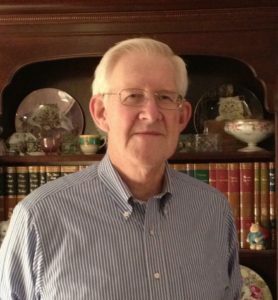 During his six-year term as Divisional Music Director for the National Capital and Virginia Division, Bandmaster Anderson spent many days at Camp Happyland. Although it has been over three years since his untimely death, his spirit and ministry still resonate throughout the camp, particularly on the divisional music and arts weekends, where hundreds of students and staff fill the camp with music. It is therefore fitting that the National Capital Band should include one of Bandmaster Anderson’s final compositions on this recording – a march, of course – entitled Camp Happyland. Although he had already been diagnosed with a terminal illness at the time it was composed, this piece embodies the ebullient and bold spirit that he showed throughout his life. Over the next two weeks, as the band approaches the recording sessions, an article on one of the items selected for the recording will be posted each day. We begin with the oldest composition, The Call, by Erik Leidzén, who was involved in the formation of the National Capital Band in 1925. The Call, written in 1923, features the songs “Softly and Tenderly” and “What Will the Answer Be?”. Leidzén, even at a young age, had already begun to develop the advanced harmonics, use of chromatics and tone colors which characterize much of his brass band writing. 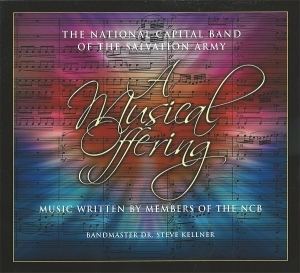 The Call was considered by the Salvation Army music publishers to be too “modern” for use, and the piece was not published until 1952, nearly thirty years after it was composed. The piece opens with a somewhat turbulent motif, leading into the first statement of “Softly and Tenderly’, representing Christ’s call to the sinner to “Come home”. This is then joined by the question “What will the answer be?”, as a response is requested. The two tunes are skilfully woven together as the music builds in intensity and then fades away at the ending with the final question represented by the second tune. 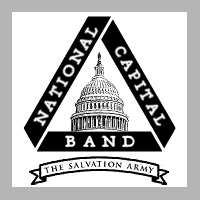 Leidzén’s association with the group that became the National Capital Band (then called the Washington Headquarters Band) began at the group’s inception in 1925. When Senior-Captain Ernest Holz, who was the commander of the small National Capital Division (at the time, consisting of only five corps), decided to start a divisional band, he turned to the headquarters in New York for assistance. In response, Leidzén was named the “Band Instructor” for the group, traveling from New York to Washington once a month by coastal steamship. For about five years, this was a regular pattern, as Leidzén assisted Bandmaster Walter D. Needham in starting up a tradition of musical excellence in the Washington area. 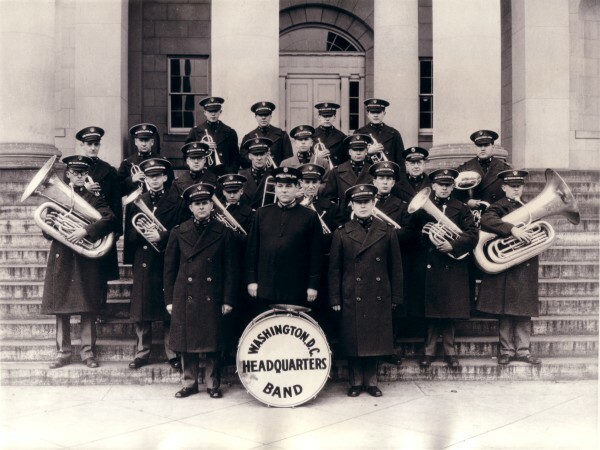 In the photograph below, taken in 1926 (the earliest known photograph of the band), Leidzén is on the right of the front row, with Bandmaster Needham on the left and Sr.-Captain Holz in the center.